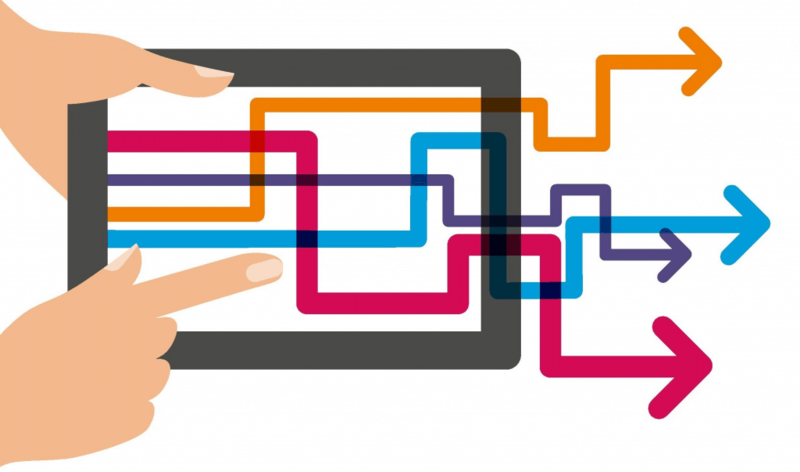 Making Tax Digital (MTD) is the name of the Government’s ambition to change the way in which we record financial data and report this information to HMRC. It requires taxpayers to keep digital records, instead of manual ones, and communicate with HMRC using a different reporting system to that which is currently in operation. HMRC’s goal is to become one of the most digitally advanced tax administrations in the world in order to save time and money whilst better reflecting the digitised society we live in. Recent reports suggest that HMRC lose approximately £9bn per year in avoidable tax reporting errors and is therefore keen to ensure it collects what is owed. It hopes that by making digital recording mandatory, this will reduce calculating and reporting errors resulting in more money for the Treasury, whilst at the same time decreasing the need for tax checks and investigations. What Taxes Are Affected and from When? VAT is the first of the taxes that will be affected by the new recording & reporting rules of MTD and VAT-registered entities will need to ensure they are prepared for the changes that come into force from 1st April 2019. Income Tax and Corporation Tax are expected to be next in line for the changes, although HMRC has recently confirmed that this will not be any time before 2021. At present only VAT-registered entities need to ensure they are compliant with the new MTD rules. If you are not a VAT-registered entity, MTD will not affect you for the time being. 1st April 2019 – VAT-registered businesses, companies, landlords and charities with annual taxable supplies (i.e. 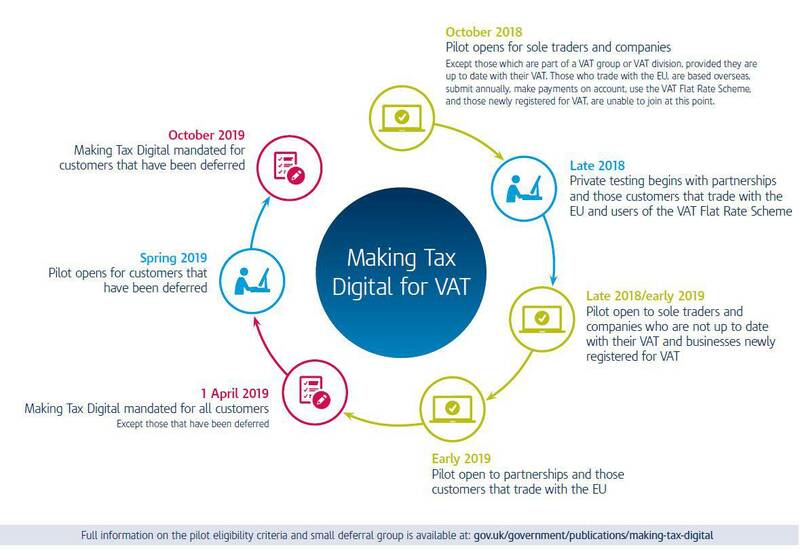 sales subject to VAT) above the VAT registration threshold (currently £85,000 within any 12-month period) are to report digitally for VAT purposes only (i.e. no other taxes) for VAT Return periods starting on or after 1st April 2019. Example – Susan owns a VAT-registered salon business that regularly turns over £100,000 per year. She has VAT quarter periods ending on 28th February, 31st May, 31st August and 30th November. Therefore, the first VAT quarter return that she will have to file under the new MTD rules is that ended 31st August 2019, as this is the first return that starts on or after 1st April 2019. 1st October 2019 – VAT Groups, trusts, non-company ‘Not-For-Profit’ organisations, public sector entities, local authorities, public corporations, entities based overseas, entities paying VAT payments on account and entities using the annual accounting scheme with annual taxable supplies above the VAT registration threshold are to comply from VAT Return periods starting on or after 1st October 2019. Please note that if you fall within this category, HMRC should have sent you a letter to confirm your obligation to comply with the new MTD rules from this date. This letter carries the force of law therefore if you have not received this letter and feel as though you should have done, you will need to contact HMRC to request it otherwise HMRC will be expecting you to comply with MTD from 1st April 2019. Example – ABC Ltd is part of a VAT group with EFG Ltd & XYZ Ltd. Together their quarterly VAT returns end on 31st January, 30th April, 31st July and 31st October. Therefore, the first VAT quarter return that they will have to file under the new MTD rules is that ended 31st January 2020. 1st April 2020 – Voluntarily VAT-registered entities with annual taxable supplies below the VAT registration threshold are to comply from VAT Return periods starting on or after 1st April 2020. Example – John is a woodland consultant and is voluntary VAT-registered. His VAT quarter periods end on 31st March, 30th June, 30th September and 31st December. Therefore, the first VAT quarter return that he will have to file under the new MTD rules is that ended 30th June 2020. 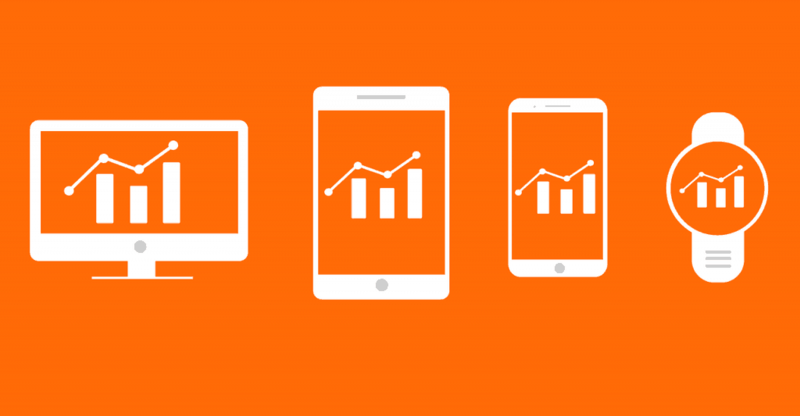 Once you have identified from when you are affected by MTD, you will need to start recording your financial data digitally on an MTD-Compatible software system or combination of systems. Whilst the above seems like quite a comprehensive list, almost all of this information can easily be found on the invoices/receipts you give and receive. You enter the transactions manually or via an upload onto the software, which will then calculate your VAT liability for you and send the data to HMRC through your internet connection. Many people are familiar with products such as Sage 50 and so can continue to use the system to which they are already accustomed with little disturbance to their existing bookkeeping methods. These systems can be used to produce reports that you can use to better understand your business’ financial position. Your data is stored solely on your own hardware and not by a third party. You can access the data without an internet connection. These products can be expensive as the product quickly goes out of date requiring you to purchase the latest version to take advantage or new or updated features. You may have to purchase the latest version of the product or an MTD bolt-on/upgrade to ensure it can communicate with HMRC’s new MTD system. You will need to back-up your data regularly. Access to the information by stakeholders, including your accountant, can be limited and/or difficult to retrieve. You enter the transactions manually onto a spreadsheet and create formulae that will calculate your VAT return box 1-9 figures. You then instruct a bridging software product to extract the box 1-9 figures directly from the spreadsheet and send this information to HMRC via your internet connection. A relatively cheap way to ensure MTD compliance. Spreadsheets are familiar to many and simple to use and be trained on. The basic function of spreadsheets seldom changes so few upgrades are needed. It can be susceptible to formulae and typing errors. It is difficult to make use of the data entered for business monitoring purposes. For clarity, bridging software is simply a digital stepping stone between your data and HMRC. A demonstration video of how bridging software operates can be seen here: https://youtu.be/8OpkmJEHPag. If we are authorised to look after your VAT affairs, we can ensure your data is recorded and reported digitally on your behalf via our choice of bridging software. This ensures your bookkeeping methods are unchanged, causing minimal disturbances. It allows us regular access to your data to advise you where necessary. It provides an extra layer of quality control for peace of mind. Our fees may increase if we do not already provide this service to you. It is still susceptible to formulae and typing errors. It is still difficult to make use of the data entered for business monitoring purposes. Similarly to desktop software you enter your transactions manually or via an upload. 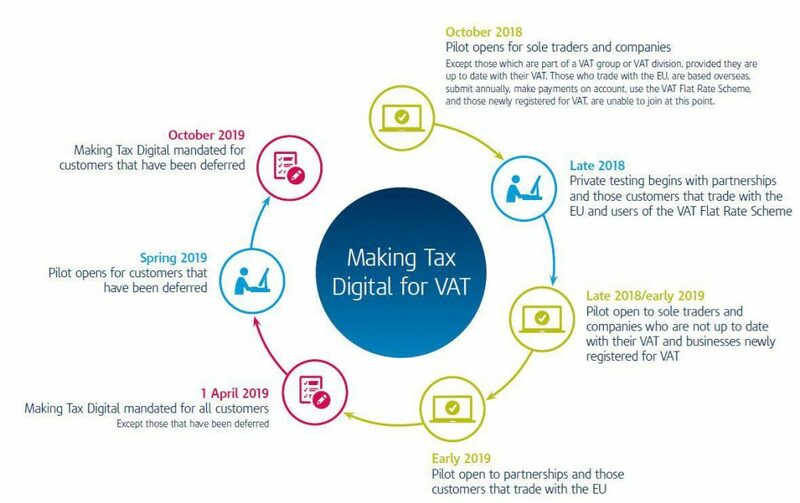 The cloud software will then calculate your VAT liability for you and send the data to HMRC through your internet connection. For the full list of benefits that cloud-based software can provide, see our cloud accounting page. Retraining of key personnel can be time-consuming and costly, although we offer training to our clients on Xero, QuickBooks Online and FreeAgent for a small fee. If you decide to use more than one piece of software to comply with MTD, be aware that the link between these software products must be digital. Example – Frances records her transactions onto Sage 50 which calculates her VAT return each quarter. In order to avoid paying the cost of the MTD upgrade for her Sage product, Frances decides to use a spreadsheet and free bridging software to upload the VAT return to HMRC. Not Allowed – She types the figures that Sage has calculated into her spreadsheet ready for forwarding to HMRC via her bridging software product. Allowed – She downloads the VAT return from Sage as a spreadsheet file. The bridging software can then select the data from this file that needs to be sent to HMRC. In summary, you can manually enter the details of your transactions at the beginning of the data reporting process only. Once entered, it is down to your software systems to carry the data across to HMRC. We recommend that you speak to your client manager about which option to take. In the meantime, you can find all the HMRC-approved MTD-compatible software products available here. 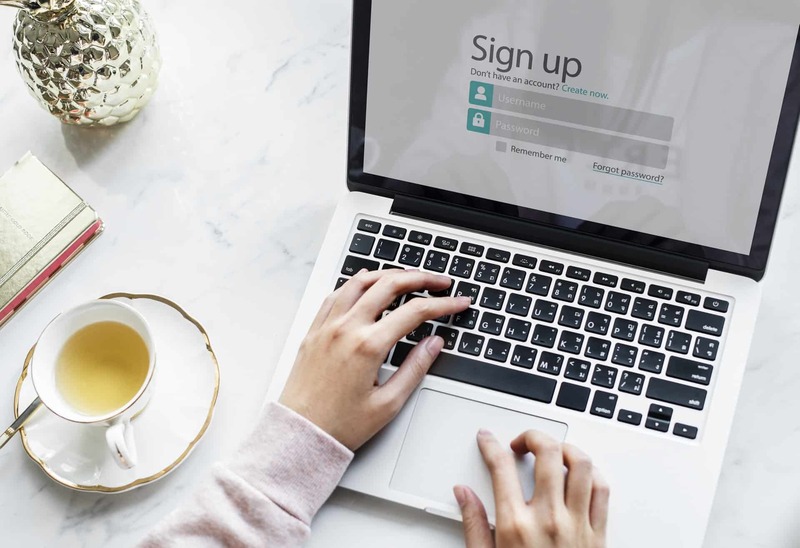 Even if you are already submitting your VAT returns online via desktop or cloud-based accounting software, you will need to register for the new MTD system with HMRC. If we look after your VAT affairs already, we will register you on your behalf when required for a small fee, although all of our MTD-affected clients will be contacted by us during April 2019 with the chance to opt-out of this service. If you wish to register yourself with HMRC, you will need to log-in to your HMRC account using your existing Government Gateway ID and notify HMRC that you are ready to go digital for VAT. We recommend that you only do this when you are ready or obliged to do so as once registered, you cannot return to reporting VAT using the existing reporting method. Be wary that if you pay your VAT liability via Direct Debit, you will not be able to register for MTD 15 working days before OR 5 working days after the VAT return filing deadline. Example – Maria’s quarterly VAT return period ends on 30th April 2019. Therefore, we would recommend that she registers for MTD between 15th June and 1st August 2019. Alternatively, you can ask us to register you; simply speak to your client manager. Failure to do this will result in your software system being unable to submit your VAT return to HMRC under the new MTD system. Speak with your software provider or ask your accountant for guidance on how to do ensure your software is activated. Make sure that whatever system you decide to use, it is able to communicate with HMRC under the new MTD rules, as some software developers have no intention of ensuring their products are going to be MTD-ready. Are VAT return and payment deadlines changing? Are digital records to be kept for 6 years like manual ones? Do I need to keep any additional information over and above what I do now? Do I need to keep digital copies of my invoices and receipts? You will need to keep either the original hard copy or a digital copy of any invoices. Providing that a digital copy of the invoice contains all the data that HMRC need (see section 2 for details), you can make your bookkeeping function entirely paperless. Are VAT errors dealt with in the same manner? All VAT errors under £10,000 can simply be corrected on the next VAT return. Can HMRC see the transactions that make up boxes 1-9 on my VAT return? No, although you will likely be expected to be able to provide this information far quicker in the event of an investigation or enquiry. What if my business requires complex VAT adjustments due to partial exemption or a particular VAT scheme? Only the result of any VAT adjustments need to be kept digitally, the calculations themselves are not. This is the only time when manually interventions are permitted in order to ensure the VAT return is correct before submission to HMRC. Are there any exemptions from MTD? Yes, but only if HMRC deem you as “digitally excluded”. Exemptions are granted on the basis of the remoteness of your location, religious beliefs, disability, insolvency and computer illiteracy, although are expected to be very few and far between. You must write to HMRC to request an exemption on these grounds. Are there penalties for non-compliance with the new rules? HMRC can charge up to £1,500 for a breach of regulatory requirements, up to £500 for not keeping proper VAT records and up to £400 for failing to file your VAT return under the new MTD system. Is HMRC providing free software similar to its PAYE Basic Tools product? No. The cost of these changes must be borne by the VAT-registered entities themselves. I have a large business that uses a complex and bespoke software system making it impractical to switch to an MTD-ready system. What should I do? Can you clarify what is meant by taxable supplies so I know whether I am in breach of the VAT registration threshold? Taxable supplies include standard rate (20%), reduced rate (5%) and zero-rated (0%) sales but do not include exempt sales or those outside the scope of VAT. I already file my VAT returns via software direct to HMRC so will I see any benefit? Under the new MTD system, HMRC will tell you in real time what your tax liabilities are expected to be based on the figures within your software system, helping businesses to budget for their tax liabilities and avoid late payment penalties and interest.